We had another powerful DeMuniz Center Presentation today. Gerard Neely, of Salem Alliance Church and I engaged the inmates with "All!" kinds of "Opportunities" Salem Alliance and "greater Salem" offer them. It's no wonder that Salem Alliance is becoming a center of activity with the powerful sense of community they offer. Gerard told the inmates that 50 percent of what is received is put back into the community. Homes and jobs are things they know they clearly need and their spirits were buoyed when we spoke of Marion County's Homelessness Task Force. Finding a job is a huge task for a felon! We talked of building relationships by volunteering, developing resumes, and a community support groups. What truly moved them was when I said "Salem For All!" featured the Salem Public Library One Book, One Community project. When I told them about the book's true tale of refugee high school students be coached by some unique teachers and managing to beat the other teams , including MIT's, and win the underwater robotics competition. They were enthralled. I believe that is a profound and innate dream for us "All!" find someone to lift us from a difficult circumstances and help us win. The inmates were touched. It moved them that "greater Salem" would offer such a great "Opportunity" for free. Also when they heard of the quality of some of our community's great music events, eg., St. Paul's Episcopal Church's Evensong presentation of the Tallis Scholars in April they were similarly moved with interest!!!! 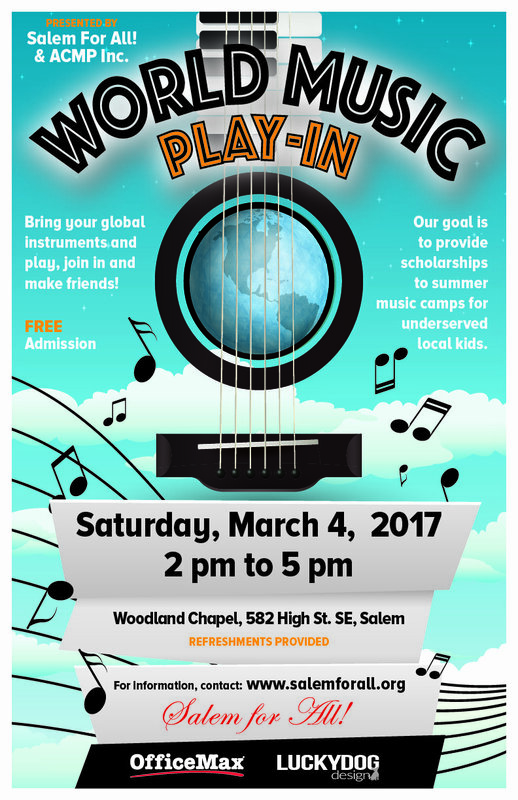 This weekend's "Salem For All! "/ACMP Music Play-Ins is going well in it's planing stages. We had one inquiry from " a advanced pianist, with an enormous collection of chamber music" that was interested. The quality of our talent this weekend in "greater Salem" should be very high. From the Camerata Ensemble's string players at the Bush Barn , to Maria Bulkow and local folk musicians, with Paul Toews poems and stories about the Northwest, at the Charles and Martha Brown House in Stayton, to African drumbeats and bagpipe music at the Woodland Chapel. 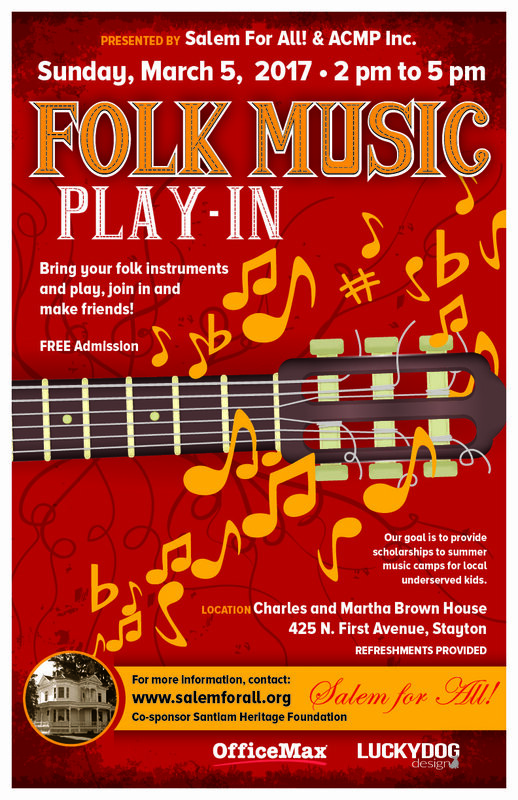 Treats will be provided for this afternoon of music and community. I believe Jennifer Clake, executive director of the ACMP, and one of the people responsible for this weekends performance of great chamber music around the world, is quite pleased with our "proud and varied" Play-Ins in "greater Salem". I've gotten several very kind e-mails from her in her office on Broadway in New York City!!!! She's looking forward to "seeing the photographs"! There's a style of music for everyone!!! A chamber music play-in will take place Saturday, March 4 from 2:00 pm -5:00 pm at the Salem Art Association's Bush Barn Gallery upstairs in the Bush Barn. Local chamber musicians and members of the Camerata Ensemble will perform in an informal gathering of musicians. 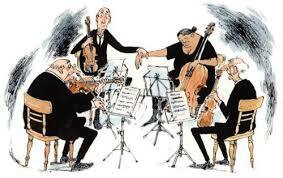 Come see how chamber music is made. Bring an instrument and join in. In Stayton by the canyon. At the Woodland Chapel on High St. Copyright © 2017 Salem For All, All rights reserved.